Within the Province of Warwickshire, something has been brewing for a while, and we are delighted to announce that with the support of the Provincial Grand Lodge of Warwickshire we can now proudly say that the Five of Nine Club has created a crafty little ale. As you are aware our Province is well into its Festival period and we are all working hard to raise funds as we head towards our Festival year of 2023. The Five of Nine Club wanted to show its support to the 2023 Festival and in turn, the Masonic Charitable Foundation, so decided to look at how we could achieve this. After much discussion and with the full support of the 2023 Festival committee headed by W Bro David Greenwood PAGDC, AProvGM and our patron RW Bro David Macey ProvGM we decided to revisit the location of one of our past club events. Back in October 2017 we visited the Gunmakers Arms, Birmingham which is not just a friendly and welcoming pub but also the front of a microbrewery called “Two Towers Brewery”, they brew an array of incredible ales and offer a full tour and insight to the world of the microbrewery, such was the enthusiasm for ales that we approached Two Towers and asked them to produce us an ale, we opted for a light golden ale which is produced by a combination of pale and wheat malts and maize, producing a complex mid-range taste eventually yielding to more subtle light fruity notes that provide an extremely pleasing lift! We call this Warwickshire Gold! 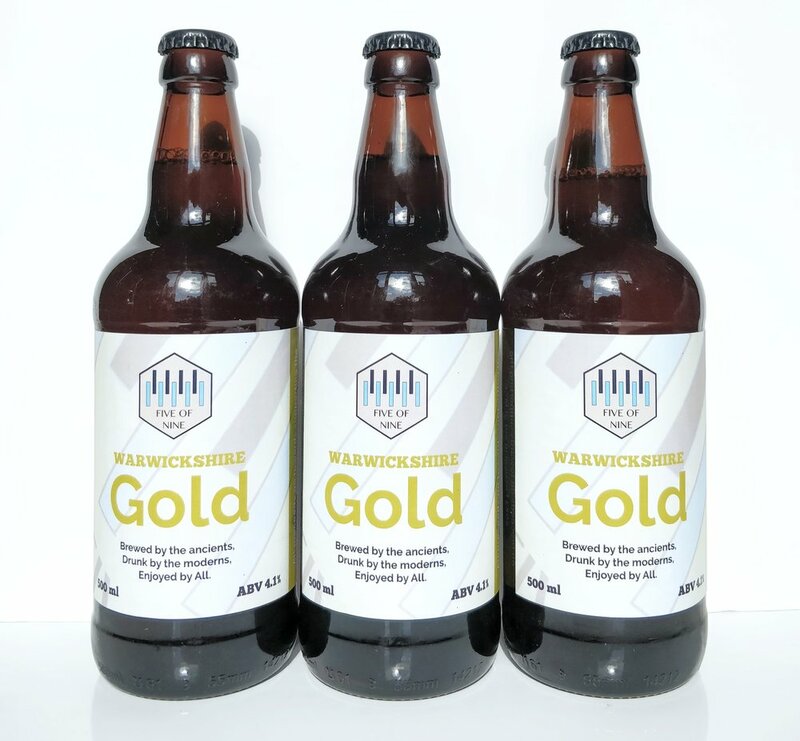 Warwickshire Gold is not just an ale produced at any old brewery, its produced at a brewery within our Province and as it’s a small local business which we feel choosing this brewery is reflective of our modern, supportive approach of Freemasonry. Officially launched at the March meeting of Warwickshire Installed Masters Lodge No 4538 and presented to the Provincial Grand Master, we would urge you all to help us to support the 2023 Festival. Join us in raising a glass of this delightful ale as we think of the great work the Masonic Charitable Foundation not only does for Freemasons but for many, many non-Masonic charities across the country. All profits from the sales of Warwickshire Gold go direct to the 2023 Festival. This craft ale is available to purchase from our website on a buy and collect basis from a number of allocated Masonic Centres across the province, it is also available to purchase from behind the bar at a number of these venues too. Thank you all in advance and Cheers!